This Franklite Bistro single lamp wall light with antique and matt gold finish ironwork features a flush rectangular wall mount and straight arm finished in antique. A cylindrical part textured glass shade sits in the centre, surrounded by a half-round outer cage finished in matt gold. Perfect for installation on any stylish living room or dining room wall. 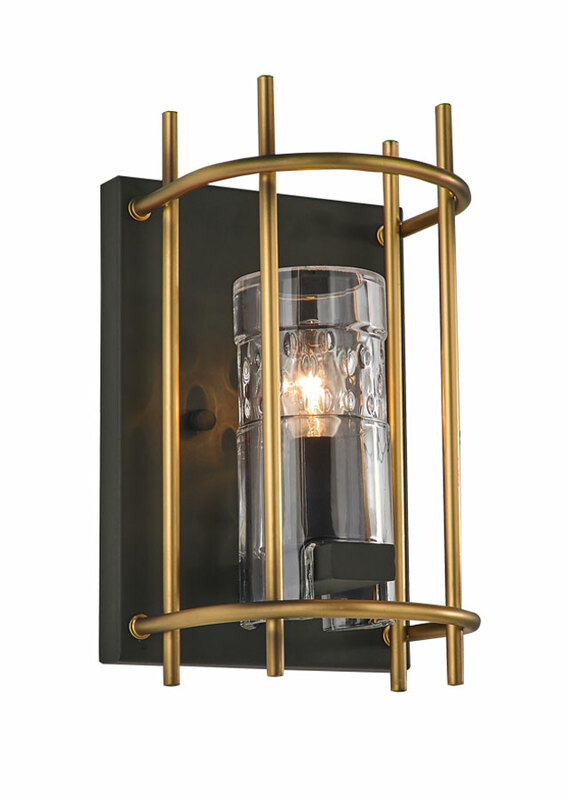 There are matching fittings in the Bistro antique and matt gold finish lighting range, please scroll down the page to view. 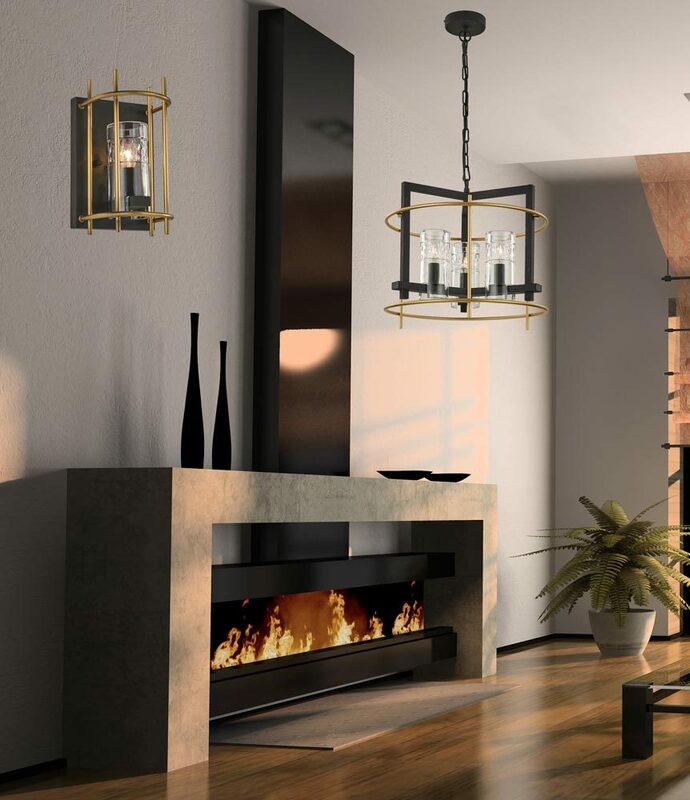 This stylish light is supplied by Franklite Lighting who have been one of the pioneers in the design, manufacture and distribution of high quality lighting such as the Bistro single lamp wall light with antique and matt gold finish ironwork you see here.